The Australasian Tunnelling Society (ATS) is a technical society that aims to advance the knowledge of the tunnelling industry through design, construction and utilisation of underground space. 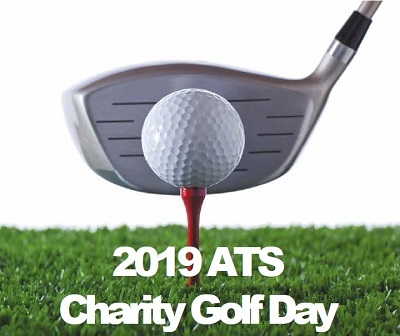 ATS’s annual Charity Golf Day on Friday 18 October 2019 at St Lucia Golf Links is designed to promote the industry and enable valuable networking among ATS members, all while raising valuable funds for medical research conducted at Royal Brisbane and Women’s Hospital. Click here for more details and to register or download a registration form. 100 available Individual registration $175.00 Registration includes green fees, motorised cart hire, a light lunch on arrival, and drinks at the post-match presentation. 18 available Hole Sponsorship (includes registration for 4 players) $1,000.00 There are 18 hole sponsorship packages available. Each includes golf registration for four people plus the opportunity to promote your business with signage and other activities at one of the 18 holes. Don't worry if you don't know your player names right now...just secure your spot and we can collect those details later. 1 available Pre-Match Sponsorship (includes registration for 4 players) $2,500.00 There is only one Pre-Match sponsorship package available. Package includes golf registration for four people plus the opportunity to showcase your business during the pre-match lunch and welcome address. Don't worry if you don't know your player names right now...just secure your spot and we can collect those details later.